PrivaCare has performed hundreds of physical therapy visits utilizing our highly educated and trained staff of male and female physical therapists. There is a reason why people choose PrivaCare over other home healthcare offerings when it comes to physical therapy. Our team has decades of experience, they are educated from the top physical therapy programs in the country and abroad, and they help our patients recover at a faster rate. Pediatric conditions (e.g. cerebral palsy) etc. Physiotherapists are extensively trained in manual therapy which means we are “hands on” with our patients. This may include massage and joint mobilization and manipulation, as well as muscle stretching which we achieve using a wide variety of techniques. To complement our manual skills, we sometimes make use of different modalities to reduce pain and inflammation including hot packs, ice, TENS, E-stim, ultrasound and laser treatment. Acupuncture and trigger point therapy is also widely practiced by physiotherapists, Physiotherapists are highly trained in exercise prescription and often give our patients exercises to do at home to help resolve their conditions. Many benefits are available to the public through the widening scope of physiotherapy. The profession addresses orthopedic, neurological and cardiopulmonary problems among infants, children, adults and geriatric populations. Many physiotherapists consult in private practice and we treat a wide array of conditions. Orthopedic cases (this includes sports injuries, fractures, spinal pain and headaches to name a few) are the most common types of patients we treat in a clinical setting. Physiotherapy treatment may involve therapeutic exercise to improve strength, range of motion and endurance and to correct postural and muscle imbalance, joint mobilization, manipulation and soft tissue massage, as well as stretching and trigger point therapy to reduce stiffness and to relieve pain. Patients with neurological disorders such as stroke, multiple sclerosis, Parkinson’s disease, cerebral palsy and spinal cord injury can benefit greatly with physiotherapy treatment. Interventions focus on muscle re-education and control, rehabilitation of fine and gross motor skills, improving daily function, regaining strength and flexibility, learning how to perform safe transfers, restoring and improving gait and training in the use of mobility aids. For children suffering from cerebral palsy, physiotherapy is essential in helping to reduce spasticity and deformity, improving postural control, teaching children how to use assistive devices and doing all that is necessary to maximize the child’s functional independence. We will also educate the family so they can help carryover what the child has learned during therapy sessions. Cardiopulmonary conditions respond well to physiotherapy intervention. Patients who have difficulty performing their activities of daily living, or who have shortness of breath and decreased endurance, can achieve markedly improved quality of life through guided exercise and resistance training. Intervention also includes manual therapy and exercise to help clear secretions in the lungs, counselling about risk factors, patient education to prevent future recurrence and behavior modification. For those patients who have had cardiopulmonary surgery, physiotherapy is initiated early to prevent the patient from losing strength and function. According to the medical dictionary a placebo is “a substance containing no medication and prescribed or given to reinforce a patient’s expectation to get well.” In popular terms a “placebo effect” is used to describe a treatment that doesn’t help you in real terms, rather your improvement is imagined. Physiotherapy relies on evidence based scientific research. Our results are quantifiable and can be measured to prove their effectiveness. It is scientific.Before beginning treatment, the physiotherapist assesses the patient in order to establish a baseline for treatment. They then formulate measurable goals for recovery. During the course of treatment, you are reassessed against these goals in quantifiable terms. Physiotherapy is interactive.You do not just sit passively and allow the therapist to do something to you. Manual therapy is used in association with exercise. You are taught exercises to help correct any type of movement dysfunction. You are expected to participate actively in your recovery. Physiotherapy is direct and hands-on.Pain management through direct applications of massage, stretching, manual therapy and other forms of manipulation constitute the basis of a physiotherapy program. These methods have their basis in strong scientific research to support their use and effectiveness. Physiotherapy is dynamic.Your treatment is not static. The program is graded according to your progress, helping you reach your optimum potential. 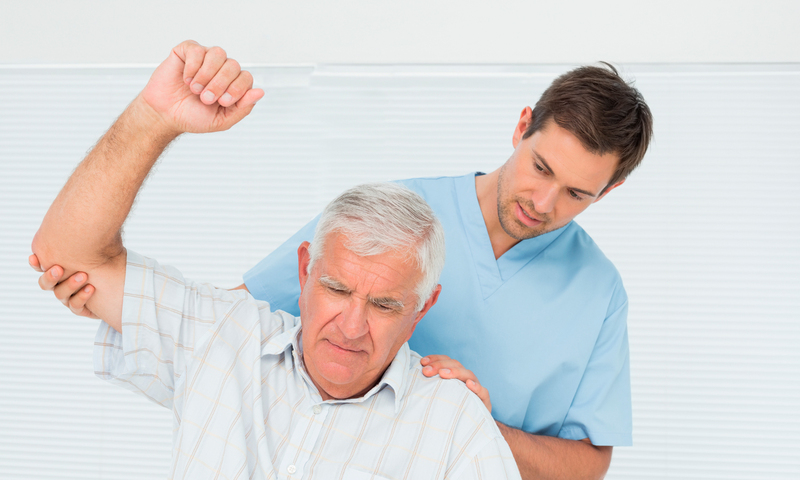 Physiotherapists are constantly re-assessing patients during their treatment course.